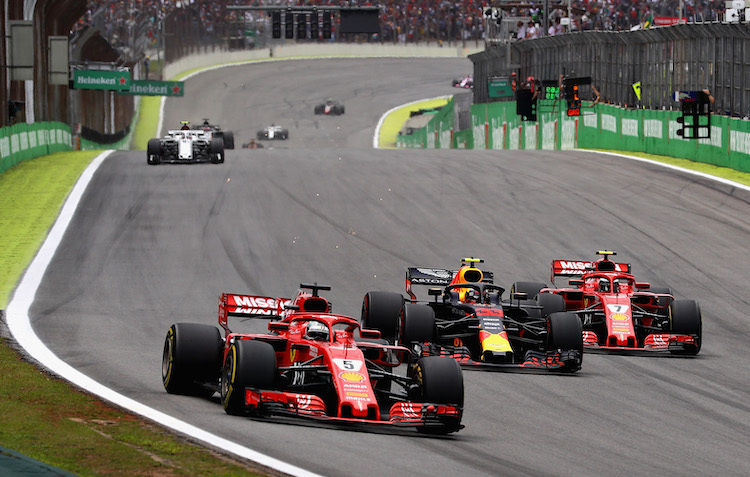 So often a World Championship deciding round, the Brazilian Grand Prix in Sao Paulo is probably one of the F1 highlights of the year. The Interlagos circuit is old skool and regularly creates great racing. It’s a circuit where drivers either creates memories they’ll cherish forever, or have nightmares they’d rather forget. Sao Paulo is one of the largest cities in the world with a population of over 20 million. The city is well known for its abundance of skyscrapers and has over forty thousand buildings that stand taller than twenty stories. Over forty thousand! The city is located in its own province near the southeastern corner of Brazil, not far from Rio De Janeiro. The city has a very high crime rate and many of the suburbs are stifled in poverty. Pollution is also a problem and traffic is so bad that anyone who can afford it moves around the city by helicopter instead. Although Sao Paulo has its problems it is also one of the most vibrant and exciting places on the planet. The large population means there is every type of culture represented in the city and it is a very popular place for partygoers. There are over twelve thousand restaurants in the city that give the place a very social feeling. The Interlagos circuit is located just sixteen kilometres outside of the city centre and races alongside a cluster of small apartments that overlook the track. Rubens Barrichello’s grandmother used to own one of these and that had a big influence on his ambition to become a Formula One driver. In 1938 the south of Sao Paulo was expanding rapidly and two property developers bought a large area of land to build new housing. Unfortunately, some the land they bought was unsuitable for residential purposes so they decided to construct a racetrack instead. The circuit was named ‘Interlagos’ after the town it was attached to. In the early seventies Emerson Fittipaldi became the first Brazilian driver to race with huge success in Formula One and his home country started yearning for a Grand Prix. Their wish was granted in 1973 and Interlagos was chosen as the venue for the first event as it had successfully staged a few non championship races in the years beforehand. 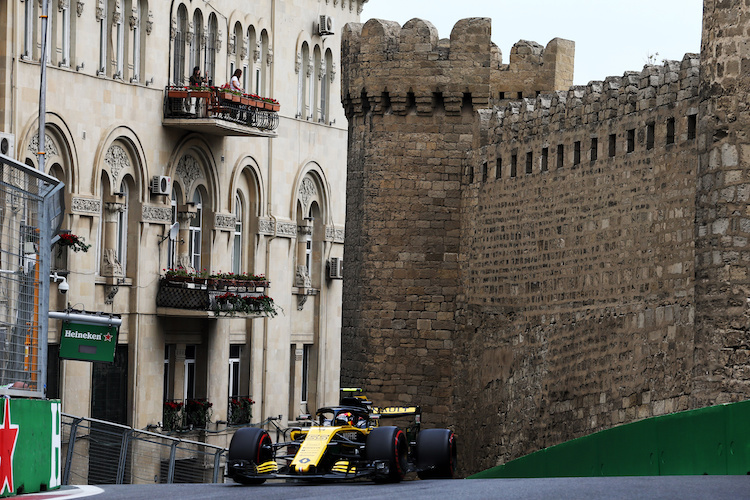 The first circuit was very fast and the drivers were at top speed for long periods of time. The layout stretched for almost eight kilometres, making it longer than Spa Francorchamps, but many of the long straights backed onto themselves and the whole racetrack was confined within the same patch of land as today’s circuit. In 1975 local driver, Jose Carlos Pace, scored an unlikely victory and the venue was named after him a few years later when he was killed. Throughout the eighties the Brazilian Grand Prix was held at the Jacarepagu circuit in Rio De Janeiro but it returned to Interlagos in 1990 on a new shorter course. This is the same configuration as the one used today and utilises sections of the old track. Facilities around the circuit have always been poor but are gradually being improved. Autodromo Jose Carlos Pace is a bumpy hilly circuit that has a healthy mix of corners. The track is particularly challenging as the many changes in elevation and camber test a driver’s skill. Interlagos translates into English as ‘between the lakes’ and that is exactly how the circuit runs. The very long main straight actually curves around gently with a distinct kink and cannot be taken flat in the wet. The circuit is on the side of a hill and all of the start finish straight is at the top. That is where most of the grandstands are because they give the crowd views of the entire circuit as it dips away from the pits and heads around the valley below. There are no general admission tickets. There are very few trees to obstruct the view although the shanty towns in the background provide a bit of character. One thing the circuit has more of than any other is bumps, although recent resurfacing has helped this greatly. The track is effectively divided into two sections, the fast straights that make up thirty seconds of the lap, and the tight twisting infield that dominates the rest. The bumps at Interlagos are sometimes responsible for shaking the cars apart so attrition has always been high at Brazil. Although McLaren have registered plenty of mechanical retirements at Interlagos over the years the team has always been extremely quick and has regularly been in contention for victory. McLaren have only missed the podium at Brazil twice in the last eleven years. Aerodynamics are particularly sensitive at Interlagos because the teams have to raise the ride height of their cars, making the wings less effective. The equatorial weather regularly plays a part and it is usually very hot and humid, if not raining. Overtaking is possible on the track and it usually happens at the brilliant downhill Senna chicane. Drivers can take several different lines through the two corners so even if their overtaking manoeuvre is unsuccessful they can set themselves up for another attempt down the long back straight. It is a great track for racing, and when it is wet overtaking is possible through the infield hairpins also. Brazil puts up a number of challenges and one of them is the brilliant Hergulho corner. It is a very fast downhill left hand sweeper that the driver can take at 230 kph. However, if they take it too fast the car will accelerate away from them and they will end up in the barriers. Tarmac run off has reduced the risk, but getting it right still matters. The final corner follows and traction is crucial there because not only does it lead onto a very long straight, but it also goes uphill. The slightest wheelspin can have big consequences, and given that drivers will be accelerating over a kerb it is very tough in modern cars without traction control. The quick uphill right hander just at the start of the infield is also tricky because the car will understeer massively due to the camber. Felipe Massa won a race that featured the most exciting Grand Prix finish of all time. Lewis Hamilton needed fifth place to secure the World Championship but started the last lap in sixth due to McLaren’s caution during intermittent rain showers. Lewis had to overtake Timo Glock on the final lap to claim his first world title, and managed to pass the German on the very last bend, almost within sight of the finish line. Ferrari thought they had won the title, but as Lewis took the chequered flag line it became clear that he had claimed fifth place along with the championship. Massa spent the entire podium ceremony choking back tears in front of his highly charged home crowd. Brazil is the last race of the season which makes it intriguing for a number of reasons. Some drivers will be competing in their last Grand Prix, some will be changing teams, and others simply won’t care. If the title is at stake it will be a must-see event, but even if it isn’t the racing will be just as good because there is nothing to lose. The bumps are very hard on drivers and cars whilst the undulations are often great to watch on telly. Brazil is a real highlight of the season. 1991 : Ayrton Senna won his home Grand Prix for the first time, despite only being able to drive in sixth gear at the finish. He had to be lifted out of the car afterwards due to exhaustion. 1994 : Ayrton Senna was challenging for victory in his first race for Williams until he spun on lap 56. Many fans immediately left the circuit and by the time Michael Schumacher took the chequered flag some of the grandstands were near empty. 2001 : Two drivers put incredible overtaking manoeuvres on Michael Schumacher during the Grand Prix. Juan Pablo Montoya muscled past the German at the start of the race, and David Coulthard drove around the outside of Schumacher in wet conditions at the end. 2003 : The Minardi team, with nothing to lose, adopted a strategy that was dependant on the race being stopped at three quarter distance. It was a very big gamble, but easy for them to take considering they would finish last otherwise. Strangely enough, the race was stopped at three quarter distance and Minardi’s strategy would have given them victory if not for gearbox failure. It was the only time that Minardi adopted an aggressive strategy with the intention of winning a race, and it came very close to paying off. I’m sorry to say only 3 tickets are now available. The cheapest 3 day ticket for the Brazilian Grand Prix is £128..